Informative, real and frank discussions about topics that affect the Alcoholic. We do not speak for AA as a whole but with a members eye view. 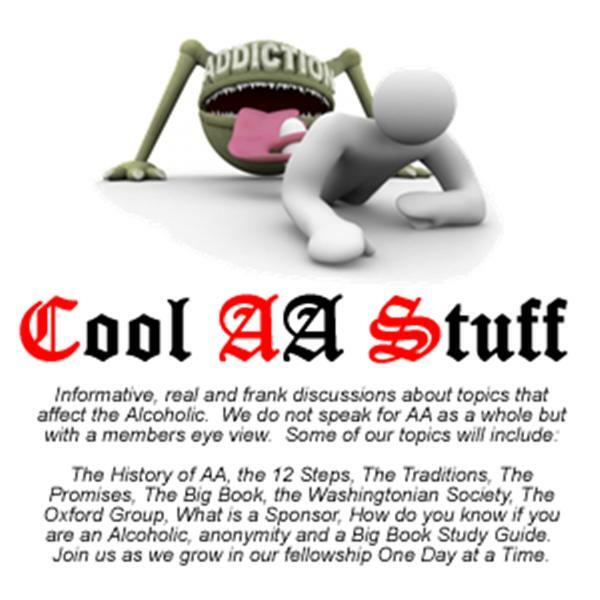 Some of our topics will include:: The History of AA, the 12 Steps, The Traditions, The Promises, The Big Book, the Washingtonian Society, The Oxford Group, What is a Sponsor, How do you know if you are an Alcoholic, anonymity and a Big Book Study Guide. Join us as we grow in our fellowship One Day at a Time. Daily Recovery.. Truth and Healing, keeping it real. A open topic meeting for the 12 step people of the world. Old speaker meetings, for FREE. All 12th stepper are welcome. Daily Recovery ... Faith and the We of the program.